QTRV Park I (Hondo) is located on Avenue U which becomes County Road CR 541 at the park. We are approximately 1.5 miles south of Highway 90 in Hondo. 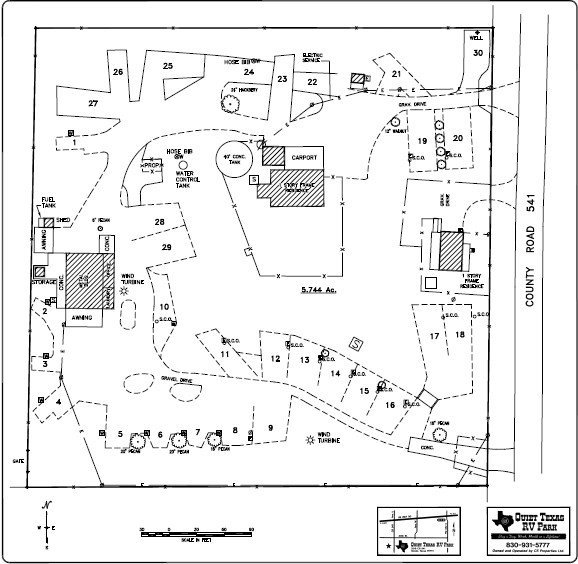 Above we have a layout map of our Hondo park. Click HERE for a larger image of the map or HERE for a PDF download of the map. 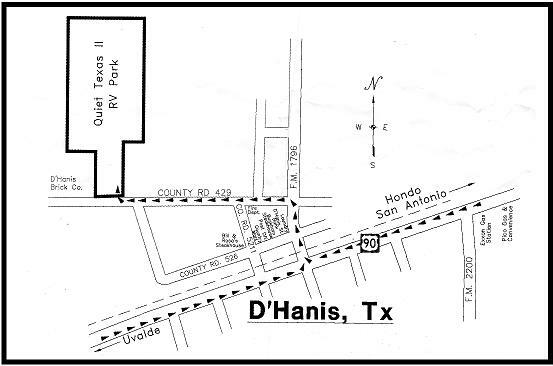 Above we have a layout map of our D'Hanis park Located at 7620 CR 429 D'Hanis, TX 78850. Click HERE for a printable image of the map.